Get back your lost or deleted photos from the USB drive using Digital Photo Recovery Software in few clicks. Evaluate the software by free downloading on your system. The software scans the USB drive and recovers all your image files within no time. Also, it allows to preview the recovered image files before even activating the license of the software. Try now!!! Digital photos enable you to capture and keep wonderful moments of our life for a long period. Digital photos are instant, portable and easy to store. These days you make a lot of use of the digital cameras to take pictures and store them in storage media like the hard disk of our computer or some external storage media like flash drives, USB, memory cards etc. It has become easy to capture every next moment of our life with the help of cameras and other devices but it is more frequent to lose them too. Losing your photos is something you never want to happen but there is a high possibility of losing photos due accidental deletion or formatting of your USB drive. Digital photos from USB may be lost due to following reasons. Accidentally deletion of photos/images permanently: Loss of images from your USB may be due to accidental deletion of photos using Delete Keys. This is because when you delete photos or any other files from your USB drive, they are not moved to the Recycle Bin instead they bypass the Recycle Bin resulting in loss of images. Device corruption: Your USB device may get corrupted due to virus or malware infection from any source causing loss of photos. Formatted the USB: Formatting of USB device without taking a proper backup is one of the main reasons which cause loss of photos from your USB. Interrupted file transfer errors: Interruption while transferring the photos from USB to any other device may result in the loss of photos from the USB. Inaccessible USB drive: Your USB drive may become inaccessible due to file system corruption or virus infection causing loss of photos from it. Virus attacks: USB drives are used with so many digital devices which may result in corruption of drive due to a virus attack. Viruses can infect the file system of the USB drive leading to the loss of photos from it. 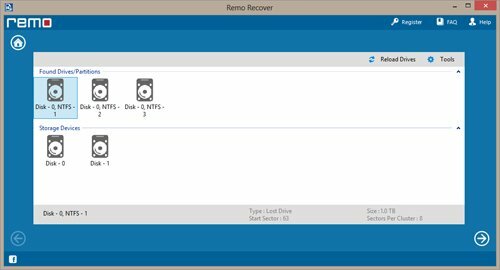 If you have lost your images from a USB drive due to any of the above-listed reasons, there is no need to worry because those photos are still present on your USB drive and you can recover them with the help of a recovery tool. Whenever there is an accidental deletion of photos, only the link to the photo is removed but not the actual photo. Using the software you can easily get back digital photos lost/deleted due to any possible reasons, provided that they should not be overwritten. To avoid permanent loss of photos from the USB drive, you should not use the USB drive to further store data, so that the lost photos are not overwritten. The lost photos can be definitely recovered using digital image recovery tool. This tool helps in simple and easy photo recovery from USB drives. Apart from digital photos, this software can also recover documents, music and video files easily from various storage devices like hard disk, memory card, flash drives, etc. You can also recover pictures from an SD card of different brands like Sony, Transcend, Lexar, Sandisk, HP etc. The software is used for both Windows and Macintosh users. This software is capable to retrieve JPEG files from a Sony CyberShot camera which are lost after accidental format or unintentionally deletion. It allows you to carry out NEF image recovery on Nikon DSLR after firmware error. If you are lost pictures from Olympus digital camera, use this link: http://www.recoverdigitalphotos.com/olympus-digital-camera.html. Evaluate the recovery by using the demo version of this software. 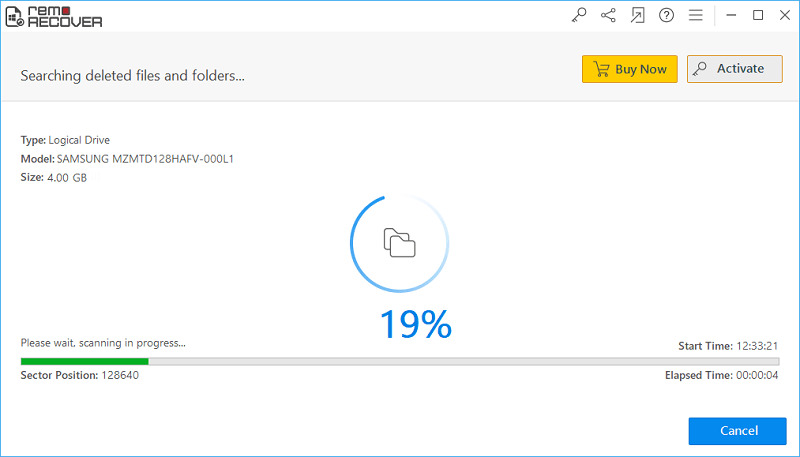 Step 1: Download and install the Digital Image Recovery tool. Select “Recover Photos” option from the main screen. 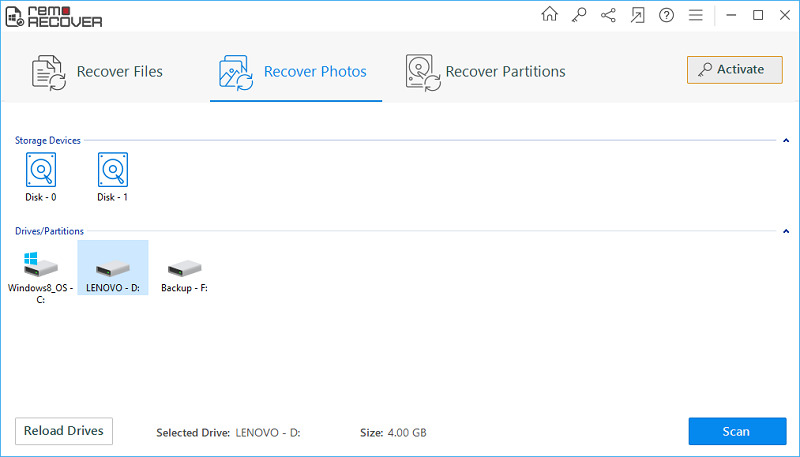 Step 2: Select either of “Recover Deleted Photos" or "Recover Lost Photos" from the window to restore photos from the USB. Now, select the USB drive to start the data recovery process. Step 3: Once the data recovery process is done, view the files recovered from the corrupt memory card.